What is diamond clarity? 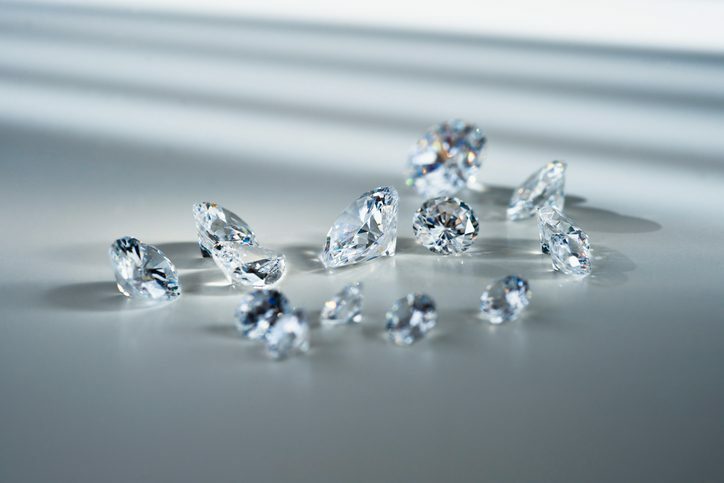 When jewelers talk about a diamond’s clarity, they’re referring to the number of imperfections found inside the stone. Contrary to popular belief, there is no such thing as a perfect diamond. Every diamond in the world contains flaws, or inclusions as jewelers call them. What do inclusions look like? Inclusions look like feathers, pinpoints, clouds, or tiny crystals inside your diamond. Most of the time, inclusions are impossible to spot with the naked eye. What can impact the value? It’s actually not the number of inclusions that affect a diamond’s clarity. In fact, it’s where the inclusions are located in the diamond’s interior that ultimately matters. If an inclusion is too close to the top or middle of the diamond, it could negatively affect the reflection of light in the diamond’s facets. If a diamond has inclusions that affect light refraction, its total value will decrease. Conversely, the clearer a diamond is, the higher its value. How is clarity determined? Jewelers will place a diamond under a powerful microscope. Using this method, along with their extensive training, they can view the inside of the diamond and mark the positions of the inclusions. They’ll then evaluate their findings and assign a value to the diamond’s clarity. When it comes to diamond quality, you want to work with a jeweler you can trust. When you’re in the Rock Hill, SC area and need a jeweler near you, look no further than Norman Hege Jewelers. Our fine jewelry store carries a wide selection of diamonds for sale, including diamond engagement rings. Visit us today and let our jewelers help you find the perfect diamond!